SYMA is wedded to the cause of social service – Educational Assistance and Medical service have been our preferred field for long. Our Annual General Body Meeting is slated to be on 10th May 2015 and I invite you all heartily for the same. · Our tribute to the victims of Nepal earthquake. · .. the Q for the month - 85 years ago, the journey from Trichinopoly played a great part in our freedom struggle… and do you know of Sardar Vedaratnam Pillai ? Look forward to your feedback on the issue. Thanking you all for the continued support. Together, we will make the Society a much better place to live. Vedaranyam salt satyagraha to be reenacted ... ! On 6th April, I had posted on ‘salt’... Common salt is a mineral composed primarily of sodium chloride (NaCl), a chemical compound belonging to the larger class of salts; salt in its natural form as a crystalline mineral is known as rock salt or halite. Salt is present in vast quantities in the seawater. Salt is essential for animal life, and saltiness is one of the basic human tastes. Salt is one of the oldest and most ubiquitous of food seasonings, and salting is an important method of food preservation. Britain’s Salt Acts prohibited Indians from collecting or selling salt, a staple in the Indian diet. Citizens were forced to buy the vital mineral from the British, who, in addition to exercising a monopoly over the manufacture and sale of salt, also exerted a heavy salt tax. Defying the Salt Acts, Mohandas Gandhi reasoned, would be an ingeniously simple way for many Indians to break a British law nonviolently. The Dandi March, also known as the Salt Satyagraha, began on 12th March 1930 and was a direct action campaign of tax resistance triggering the wider Civil Disobedience Movement. Gandhi himself, led the Dandi march from his base, Sabarmati Ashram near Ahmedabad, to the coastal village of Dandi, located at a small town called Navsari, in the state of Gujarat. Gandhi was arrested on the midnight of 4–5 May 1930, just days before the planned action at Dharasana. The satyagraha against the salt tax continued for almost a year, ending with Gandhi's release from jail and negotiations with Viceroy Lord Irwin at the Second Round Table Conference. 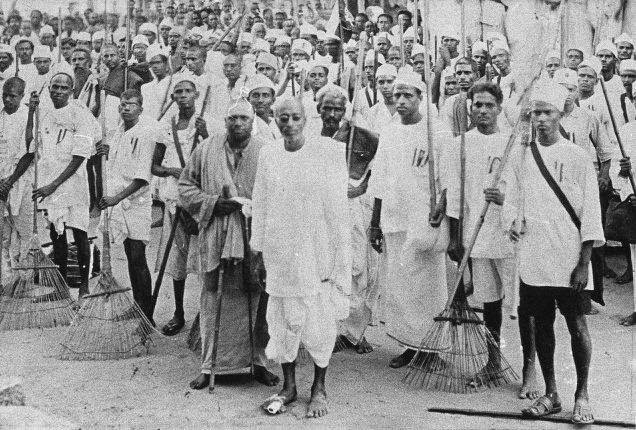 Over 80,000 Indians were jailed as a result of the Salt Satyagraha. However, it failed to result in major concessions from the British. Down under in our own Tamilnadu, his close associate Sri C. Rajagopalachari, who would later become independent India's first Governor-General, organized the Vedaranyam salt march in parallel on the east coast. His group started from Tiruchirappalli, in Madras Presidency, to the coastal village of Vedaranyam. Rajaji too was arrested by the British. There was another hero - Sardar Vedaratnam Pillai, famous philanthropist who was alongside Rajaji. In the year 1931 Vedaratnam was conferred with the title of ‘Sardar’ at the meeting of the Tamil Nadu Agriculturists and labourers at Tirunelveli, for his exploits in the Vedaranyam Salt March. The march, coinciding with the Tamil New Year, commenced on 13 April 1930 from TSS Rajan's house in Trichinopoly Cantonment. As the march proceeded towards Tanjore district its "astute and energetic" District Collector J. A. Thorne (ICS) tried to stop it. Using newspapers, Tamil handbills and town-criers, Thorne informed would-be hosts that anyone offering food or shelter to the marchers was liable to six-months' imprisonment and a fine. Rajaji retorted – "Thorne and thistles cannot stem this tide of freedom." Ignoring Thorne's order, Sri Pantulu Iyer, a resident of Kumbakonam,and Sri Krishnaswami Iyer , a resident of Aranthangi provided accommodation for two days and arranged a grand dinner for the group at his house before being arrested. Iyer's arrest inspired people to invent ways to help the marchers without getting caught. Food packets were found tied to branches of roadside trees, and when the group rested by the Cauvery riverbank, they found indicators where huge food containers were buried. At Vedaranyam, Rajaji declared that the salt laws would be broken on 30 April 1930 – Rajaji and his group were arrested and sentenced to six-months' imprisonment. Rukmini Lakshmipathy was imprisoned for one year; she was the first woman to serve a jail term for participating in the Salt Satyagraha movement. The other hero Sardar Vedaratnam Pillai (1897 - 1961) who also was imprisoned later as a MLA for three terms over a period of 14 years. Times of India, Chennai Edition reports that the grandsons of two freedom fighters and architects of the Vedaranyam salt satyagraha would enact their grandfathers' feat on April 30 to commemorate the 85th anniversary of the event that marked the freedom movement. CR Kesavan, great grandson of C Rajagopalachari, and Vedarathinam junior, grandson of Sardar Vedarathinam Pillai, would walk the last leg of the Trichy-Vedaranyam route. While their grandfathers broke the salt law against the British, Kesavan and Junior would read out 100 names of the participants who took part in the 1930 Satyagraha. This is the first time the 100 names have been compiled and would be read out. “It was a landmark event of our freedom movement that many youngsters are not aware of. Congress stalwart K Kamaraj was first arrested during the Satyagraha and after this he was imprisoned for a period that was longer than his chief ministerial tenure,“ said Kesavan, a US-returned software professional. On April 30, around 2,000 people would start at 4.30am and reach Agastiyampallam near Vedaranyam, the venue of 1930 salt Satyagraha. Some Congress cadres, salt pan workers and students of Kasthurba Kanya Gurukulam would participate. “The march will be only for 15km and this could be the last leg of the original march. We will read out the names of the participants of the march and pay homage to them,“ said Kesavan. The names would be read out near the Satyagraha memorial at Vedaranyam. The names were collected from various sources, including local revenue records and libraries. “None of the participants are alive now. In 2005, the late Coimbatore-based G K Sundaram, 91, reminisced about his participation. Though Sundaram was 18 years during the Satyagraha, he told the magistrate he was 22 so he could get rigorous imprisonment,“ said Kesavan. Former Congress MP P V Rajendran has been in the forefront in organizing the march. “This year more people are expected to participate, mainly salt pan workers, students and the general public.On Wednesday , we will have the convocation of the gurukulam in which Kesavan and others will participate,“ said Vedarathinam. Though it is perceived to be an apolitical march, since Kesavan and others are participating, it is expected to provide a boost to the Congress, weakened in the state after it lost power in 1967. Away from this ET reported in Feb that salt pans of Vedaranyam area in Nagapattinam district have commenced the annual production works after a 90-day lull. Every year salt production begins with special poojas during the Tamil Month 'Thai'. The production works continue non-stop till the onset of the North East Monsoon, up to late September or early October. During rainy season, salt pans will mostly remain inundated. Again, during late-January or early-February the works will begin with Poojas. Salt is being produced in about 10,000 acres along the Vedaranyam coast at various villages including Agasthyampalli, Kodiakadu, Kadnelvayal and Vedaranyam. With the production of over 4.5 lakh tonnes of salt a year, Vedaranyam occupies the second position in the state in salt production. More than 25,000 workers are engaged in salt production activities in this area. The Strait of Hormuz is a strait between the Gulf of Oman and the Persian Gulf. It is the only sea passage from the Persian Gulf to the open ocean and is one of the world's most strategically important choke points. On the north coast is Iran, and on the south coast is the United Arab Emirates and Musandam, an exclave of Oman. It is in news ~ the Iranian military on Tuesday seized a Western cargo ship in the Persian Gulf, the Pentagon said; the Pentagon said the Marshall Islands-flagged Maersk Tigris did not have any U.S. citizens aboard and was travelling through the Strait of Hormuz when the confrontation occurred. Al Arabiya, the Saudi news network, initially reported that a U.S. vessel has been fired on and steered to the Bandar Abbas port by Iran. Iran's Fars News Agency also reported that an "American trade vessel" had been confiscated. The Pentagon said it was reviewing its U.S. defense obligations to the Marshall Islands after the seizure. It also called the Iranian firing of warning shots at the ship "inappropriate." Col. Steve Warren, a Pentagon spokesman, said the cargo ship’s master had initially refused an Iranian order to move further into Iranian waters, but after the warning shots were fired the MV Maersk Tigris complied. Warren said the cargo ship has been boarded by Iranians, but no one has been injured and no Americans are involved. Warren said the cargo ship issued a distress call and the US Naval Forces Central Command, based in the area, sent a US destroyer and an aircraft to the area of the incident to monitor the situation. According to a report in Tehran’s semi-official Fars news agency, the Iranian Navy “confiscated the American trade vessel” because it was “trespassing” in Iran’s territorial waters. Initially, it was reported that the ship was US-flagged, but it later emerged Maersk Tigris is registered in Marshall Islands - it is a brand new 52,600-ton container ship, built in 2014; managed by Singapore-based Rickmers Ship Management, which is part of Hamburg-based Rickmers Group. According to the ship-tracking site MarineTraffic.com, the 52,600-ton cargo vessel, which was built last year, departed from Ambarli, Turkey April 8 en route to Jebel Ali in the United Arab Emirates. Going by the map, it is stated that it abruptly changed course in the Strait of Hormuz this morning and was heading to the Iranian port of Bandar Abbas. Strait of Hormuz - at its narrowest, the strait is 21 nautical miles (39 km) wide. To reduce the risk of collision, ships moving through the Strait follow a Traffic Separation Scheme (TSS): inbound ships use one lane, outbound ships another, each lane being two miles wide. The lanes are separated by a two-mile-wide "median". To traverse the Strait, ships pass through the territorial waters of Iran and Oman under the transit passage provisions of the United Nations Convention on the Law of the Sea. Oman has a radar site Link Quality Indicator (LQI) to monitor the TSS in the Strait of Hormuz. This site is on a small island on the peak of Musandam Peninsula. Twenty percent of oil traded worldwide moves by tanker through the Strait of Hormuz, the world's most important petroleum transit choke point. In 2011, Saudi Arabia led six Persian Gulf nations in exporting 16 million barrels per day of crude oil through the 2-mile-wide (3.2-kilometer-wide) shipping lane. In military strategy, a choke point (or chokepoint) is a geographical feature on land such as a valley, defile or a bridge, or at sea such as a strait which an armed force is forced to pass, sometimes on a substantially narrower front, and therefore greatly decreasing its combat power, in order to reach its objective. A choke point can allow a numerically inferior defending force to successfully thwart a larger opponent if the attacker cannot bring superior numbers to bear. With Houthi rebels taking over parts of Aden, the Strait of Bab el-Mandeb, has potential of becoming disrupted. The biggest threat is that Iran may become threatened from this attack and the Strait of Hormuz will become disrupted, lowering the potential supply of oil to the world markets. With around 17 million barrels of oil moving through the Strait of Hormuz per day, a blockage in the strait could prove to disrupt the supply of world oil. ~ and that is not good news for most Nations dependent on oil from Arabian gulf !!! 28th Apr 2015 @ 09.35 pm. Earthquake struck in our neighbour land ~precious human lives have been lost – the count is going up – and a couple of days after the event, the survivors are also struggling wanting expeditious relief. Some state that disasters are only likely to get worse in the future, owing to a combination of climate change, population growth, urbanization, environmental degradation, and violence. In someways, tremors don't kill people. Buildings do. We get to hear this often from seismologists each and every time a deadly quake strikes ~sadly, it has become horrifically relevant again Saturday, after a 7.8-magnitude earthquake hit Nepal, leaving at least 4,000 dead (and counting). India has given a massive thrust to rescue and relief mission in quake-devastated Nepal - 'Operation Maitri' - pressing into service 12 heavy-duty military aircraft and 18 helicopters besides opening up four land routes to connect to Kathmandu and Pokhara valley to reach out to the affected with men and material. 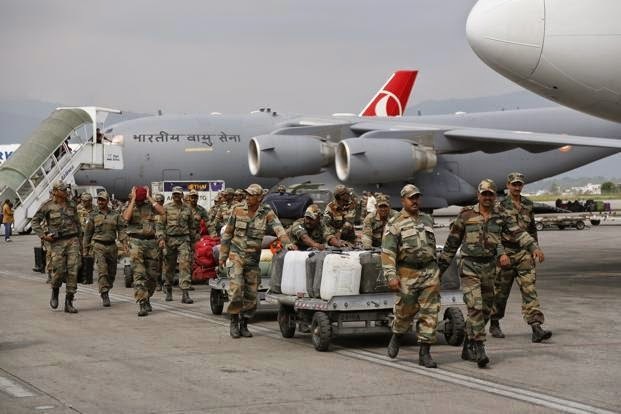 The joint Army-Air Force operation managed to evacuate 5,400 people till Monday, including 30 foreigners, who were stuck in Nepal. Mr Narendra Modi acted swiftly without waiting for any formal request, extending a helping hand to neighbours when most needed. Now getting back, it is a basic truth that earthquakes are much, much deadlier in places where buildings are poorly constructed, unreinforced, and not designed to withstand shaking. 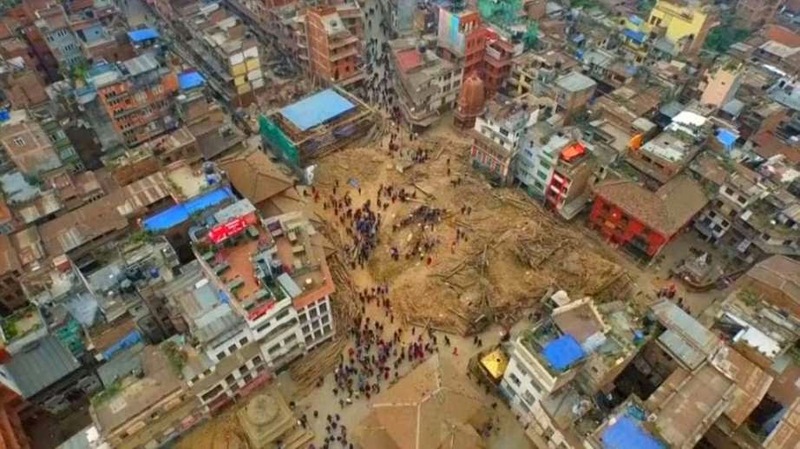 Kathmandu, Nepal, was a gruesome example: observers told CNN that buildings in the city often aren't up to code. As a result, a shallow quake easily turned the city into rubble, trapping people underneath. The tragedy here is that humans have the technology to reduce earthquake deaths. Vulnerable regions like California, Japan, and Chile have taken steps to modernize their building codes and dramatically reduce their risks over the past century. But - why hasn't this happened in countries like Nepal or Iran or Pakistan, where experts have warned again and again that massive earthquakes are inevitable? This issue was raised in an important 2013 paper in Science by Brian Tucker, founder of GeoHazards International, which works to reduce casualties from natural disasters. Too many countries, he argued, have been slow to take the necessary steps to prepare for earthquakes. And thousands of people are dying as a result. Often, Tucker points out, it's a funding problem, particularly for poorer countries. Upgrading buildings is expensive, after all. In some cases, there might be unique obstacles at work (in Nepal, civil unrest made the task of retrofitting even harder). But in many areas, the biggest barriers appear to be psychological — people aren't even thinking about preparing for earthquakes. One key area to look at is south central Asia. More than one-quarter of the world's population lives here — in Iran, Afghanistan, Pakistan, India, Nepal, Bhutan, Bangladesh, Sri Lanka, and Burma. These countries also sit near the northern edge of the Arabian and Indian tectonic plates, which are colliding up against the southern edge of the Eurasian plates. This collision created the soaring Himalayan mountains. But the sliding plates can also produce massive earthquakes in the area that kill thousands of people — like the one that devastated Nepal. This is clearly a seismically active zone. It's hard to say exactly when and where the next earthquake will hit, but we know big quakes are inevitable. Yet throughout the region, buildings continue to be shoddily constructed and topple easily in earthquakes. Earthquake experts Roger Bilham and Vinod Gaur took stock of this problem in a 2013 paper for Science. In many of these countries, contractors often fail to adhere to building codes. What's more, the building codes that do exist often only apply to civic structures — not the places where people live. The result? In an earthquake, these buildings collapse, and lots of people die. 1) Rapid population growth. For starters, populations are often growing extremely fast in many developing countries — particularly as more and more people move to cities. "When you have this tremendous demand to build hospitals, schools, and apartment buildings, it's very difficult to build good buildings at the rate that is needed," he says. This was a factor in Nepal, where people were fleeing civil unrest in the countryside and moving to cities like Kathmandu. New buildings were often hastily built, and retrofitting became more difficult..
2) lack of money. Funding is another obvious problem, particularly for poorer nations. Upgrading buildings, after all, is expensive. In his paper, Tucker cited estimates that only about 1 percent of all disaster aid actually goes to prevention. 3) Corruption and weak governance. It's also significantly harder for countries in earthquake zones with corruption problems to enforce their building codes. 4) Complacency and other psychological barriers. Tucker notes that too many countries don't take the risk of earthquakes seriously enough. This is an understandable tendency, particularly in developing countries that often have more immediate concerns, such as poverty or everyday pollution. "Humans respond to threats that are personal and visible or rapidly changing," Tucker says. "Earthquakes are examples of slow-moving problems that we just have not evolved to respond well to." Often, Countries often take action only after tragedy strikes !!! - Unfortunately, it often requires a tragedy before countries start taking the threat of earthquakes seriously. In his 2013 paper, Tucker examines Chile and Haiti as a stunning exercise in contrasts. In 1960, a 9.5-magnitude earthquake struck Chile, after which the country embarked on a massive earthquake-safety program and enforcing new building codes. By contrast, Haiti did nothing during this period, lulled into complacency by a lack of seismic activity and hampered by constant political unrest and extreme poverty. The results? In early 2010, two similar earthquakes struck the two countries. Only about 0.1 percent of Chileans affected by the 8.8-magnitude earthquake died. By contrast, 11 percent of Haitians affected by a 7.0-magnitude earthquake with similar shaking died. "In other words," Tucker wrote, "Haitian buildings appear to be 100 times as lethal as Chilean buildings." It's a stunning illustration of the value in preparation — which, sadly, often doesn't happen. According to Tucker, the practical steps are : First, Nepal should begin retrofitting schools. Not only is spending money on schools politically popular, but it also helps educate schoolchildren that earthquakes aren't a purely "natural" disaster and their risks can be reduced greatly. Second — and this was surprising —that foreign-owned luxury hotels are often a good place to start reinforcing buildings. The reason? It creates incentives for competitors to also start reinforcing their hotels. What's more, it provides jobs for masons and architects, who learn how to build buildings that are up to code. That, in turn, can have positive spillover effects elsewhere. That said, it's far better for countries to start preparing for earthquakes before tragedy strikes. And on that score, our current method of preparing for earthquakes seems to be failing. Tucker suggests that earthquake experts may need to start trying public-health-style campaigns — "similar to the ones that get people to use seat belts or quit smoking." In his 2013 paper, Tucker noted that an earthquake campaign would have to have many facets — not just information, but also incentives to increase preparedness. "Publishing statistics on the increasing occurrence of lung cancer and auto fatalities was not sufficient; nor were photos of black, leathery lungs on cigarette packages or photos in driver education movies of gory accident scenes. Taxes, fines, and opprobrium were used. ... The earthquake risk reduction community might find effective lessons, models, and tactics from studying those public health campaigns." But something needs to change. Twice as many people died from earthquakes in the decade between 2001 and 2012 as died in the previous two decades combined, despite a variety of campaigns to reduce earthquake risk. And those deaths are only likely to increase in the future, as more people are expected to move to cities near seismically active areas. Foreign policy experts often focus on problems like violence, terrorism, and instability, but the reality is that disasters are far more destructive. * Between 1980 and 2000, disasters like earthquakes, tsunamis, and floods killed roughly 1.5 million people and directly affected at least 2.3 billion people worldwide. Economic losses from these catastrophes average between $250 billion and $300 billion per year, a number that's expected to increase in the future. And the impact falls disproportionately on poor countries. Clearly, there's a tremendous demand for disaster relief. So it's a huge problem that disaster aid from wealthier countries rarely lines up with actual needs. ~~and the worst disasters do not always get the most aid !!! - sadly, disaster relief is heavily influenced by politics and media coverage. More than the affected countries not seeking globally, donor countries often have their own political interests in mind. Media coverage can be arbitrary — but it seems to influence aid decisions. In a 2007 study, Strömberg and Thomas Eisensee examined 5,212 disasters to see what factors affected media attention to these events. Using data from the Vanderbilt Television News Archive, the authors examined the level of coverage of each event on nightly newscasts in the US. First, they found that other big stories can crowd out disaster coverage. For every 2.4 extra minutes the networks spent on their top three stories, the probability that they would cover a disaster fell by 4 percent. They also found that media was more likely to cover disasters with lots of deaths — "if it bleeds, it leads." A tenfold increase in the number of people killed by a disaster increased the likelihood of news coverage by 10 percent. By contrast, a tenfold increase in the number of people affected by a disaster only generated a 3 percent increase in coverage. Media focus on some disasters over others isn't entirely random. The type, scale, and location of a disaster all matter. At a geographical level, Strömberg notes that "to have the same chance of receiving relief, a country at the other side of the earth must have 160 times as many fatalities as a country at zero distance." This type of neighborhood bias has clear ramifications for countries in the developing world. Compared with disasters in Europe, those occurring in Asia-Pacific and Africa garner 36 percent and 21 percent less relief aid, respectively. The above is majorly reproduced from Vox.com – taken together, this research paints a bleak picture. While those of us in the developed world may like to believe that our governments provide humanitarian aid on the basis of need, the evidence tells a different story. More importantly, developed countries are better off and are probably less affected by a disaster of the same magnitude !!! PS : Vox is an American news website run by Vox Media. It was founded by Ezra Klein and launched in April 2014. The New York Times described Vox Media as "a technology company that produces media" rather than its inverse, associated with "Old Media". I found the article to be relevant and interesting and circulating to my group of friends too. bumper potato harvest ~ ruins farmers !! 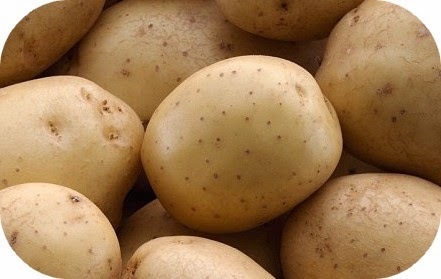 The potato is a starchy, tuberous crop from the perennial nightshade Solanum tuberosum L.
The word "potato" may refer either to the plant itself or the edible tuber. It is the world's fourth-largest food crop, following maize, wheat, and rice. The news of a farmer suicide in the AAP rally the Delhi CM proceeding with the meeting hit the headlines, ridiculed by many !! Catastrophes are nothing new to mankind ! ~they are called ‘Act of God’ too !! Earthquake struck in our neighbour land ~precious human lives have been lost – the count is going up – and a couple of days after the event, the survivors are also struggling wanting expeditious relief. Some state that disasters are only likely to get worse in the future, owing to a combination of climate change, population growth, urbanization, environmental degradation, and violence. In someways, tremors don't kill people. Buildings do. We get to hear this often from seismologists each and every time a deadly quake strikes ~sadly, it has become horrifically relevant again on 25.4.2015, after a 7.8-magnitude earthquake hit Nepal, leaving at least 4,000 dead (and counting). It is stated that earthquakes are much, much deadlier in places where buildings are poorly constructed, unreinforced, and not designed to withstand shaking. Kathmandu, Nepal, was a gruesome example. There have been catastrophes like floods, earthquakes and then there have been famines. Centuries ago, there reportedly was a big famine during Tughlaq dynasty. From 1913, Major Freeman Freeman-Thomas, 1st Marquess of Willingdon held gubernatorial and viceregal offices throughout the British Empire, starting with the governorship of Bombay and then the governorship of Madras, before he was in 1926 appointed as Canadian governor general by the King. In 1917, the year before Willingdon's resignation of the governorship, a severe famine broke out in the Kheda region of the Bombay Presidency, still, the Govt. insisted that tax not only be paid but also implemented a 23% increase to the levies to take effect that year. In Independent India, in 1961 India was on the brink of mass famine. Borlaug was invited to India by the adviser to the Indian minister of agriculture M. S. Swaminathan. Despite bureaucratic hurdles imposed by India's grain monopolies, the Ford Foundation and Indian government collaborated import wheat seed from CIMMYT. Punjab was selected by the Indian government to be the first site to try the new crops because of its reliable water supply and a history of agricultural success. India began its own Green Revolution program of plant breeding, irrigation development, and financing of agrochemicals. It is not always disaster that worry people – perhaps, sometimes bountiful crops too !!! .... at a time when the plight of farmers for crop loss due to unseasonal rain seems to have become the biggest concern for the Centre, Bengal chief minister Mamata Banerjee has written to finance minister Arun Jaitley recently to rescue farmers of the state, who are faced with sliding potato prices due to a bumper crop this season. Listing the steps already taken by the Bengal government to ensure that the record 1,20,000 metric tonne yield in the country's second largest potato growing state after UP fetches a fair price, the CM has urged the Centre to take specific measures to ensure that the farmers don't lose out due to a fall in prices. Banerjee, in her second letter to Jaitley, after the one she wrote on April 9, said the state has taken steps like directly procuring potato from farmers for supplying to ICDS and midday meal beneficiaries, providing transport subsidy for inter-state movement of potato by the railways and subsidy for exporting potato from the Calcutta port.“The state has also requested to the Centre on April 9, for procurement of 1 lakh metric tonne potato from Bengal through central government agencies,“ the latest letter said. Away in Chandigarh, last month, the potato prices touched an almost all-time low in the market, as farmers were crying for help. 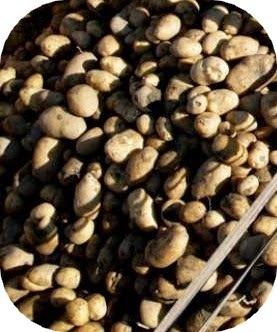 In the wholesale market, the price of potatoes came down to Rs 200 per quintal. Last year, it was about Rs 1,000 per quintal. The rate of potato seed also went down to Rs 500-600 per quintal where as during the corresponding period last year, it was in the range of Rs 1,200-1,500 per quintal. Punjab is one of the leading potato seed producers in the country. In fact, 80 per cent of potato produced in Punjab goes as seed to other states such as West Bengal and the remaining goes to the open market for sale. So good crops have this time ruined the farmers !! Flood risks and insuring house against such perils ! Common sense is expected to prevail in every action of human beings. ‘Act as if uninsured’ is a sound advice often dished out ! 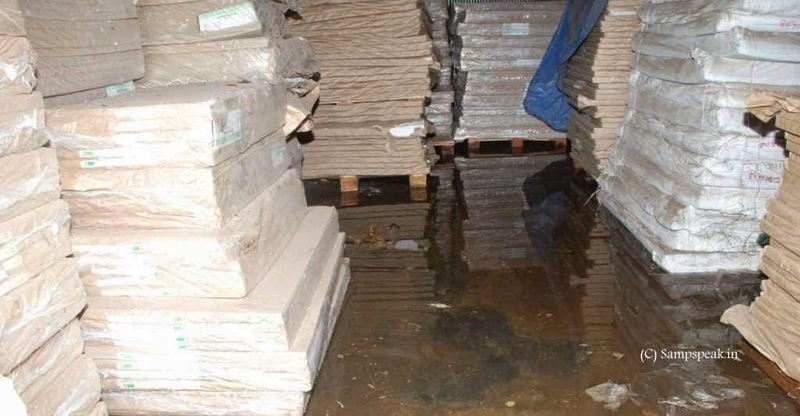 When water poured into their home last January it caused £125,000 in damage, with the house's hardwood floor, ground floor walls and electrics wrecked beyond repair. As the rain poured down, Mr Ivry's garden was left underwater and even though he tried to set up barricades at his garage and front door, he was unable to stop the water gushing in, leaving the ground floor under nearly half a foot. The house was in an island and flooding was but natural. The owner thought of sealing the house with a barrier, waterproof doors and pumps to get rid of any ground water or leakage, but worried that just one tiny crack would mean water pouring into his home again. He also considered demolishing the house completely. The self-employed couple lost a year of business because they could no longer work from their home. ~ what they did is what this post is about !!! A ‘ flood ’ is an overflow of water that submerges land which is usually dry. The European Union (EU) Floods Directive defines a flood as a covering by water of land not normally covered by water. Flooding may occur as an overflow of water from water bodies, such as a river or lake, in which the water overtops or breaches its confinement, resulting in some of that water escaping its usual boundaries. Floods can also occur in rivers when the flow rate exceeds the capacity of the river channel, particularly at bends or meanders in the waterway. Floods often cause damage to homes and businesses if they are in the natural flood plains of rivers. Some floods develop slowly, while others such as flash floods, can develop in just a few minutes and without visible signs of rain. The ‘wind and water perils’ – elaborately described as ‘Storm, cyclone, typhoon, tempest, hurricane, tornado, flood and inundation’ are part of Insurance coverage, without payment of any additional premium. However for covering ‘Earthquake’ additional premium will have to be paid. In our policies, the flood is not defined and for wind perils, universally reference is drawn to ‘Beaufort scales’. In Australia, ‘flood’ as stated in Insurance policies – purported to mean ‘the covering of normally dry land by water that has escaped or been released from the normal confines of...a lake, a river, a creek or another natural watercourse a reservoir, a canal or dam. There are flood prone areas and in India, Insurers tend to avoid such bad risks. In US, there are codified flood-hazard maps which helps determine the hazard exposure and type of flood insurance coverage one will need since standard homeowners insurance doesn't cover flooding. The lower the degree of risk, the lower the flood insurance premium. To reiterate, in US and in many other places, Standard home policy or Fire Policy does not cover flooding. In USA, way back in 1968, Congress created the National Flood Insurance Program (NFIP) to help provide a means for property owners to financially protect themselves. The NFIP offers flood insurance to homeowners, renters, and business owners if their community participates in the NFIP. In Mar 2014, President Obama signed the Homeowner Flood Insurance Affordability Act of 2014 into law. Back home, even when insured, the policy holder is expected to prudent. In flood areas, Risk Managers would advise to keep stocks well above the expected flooding levels. Goods should be stacked on racks and kept a few feets above the ground level and not left on grounds. Here is an interesting newsitem from MailOnline on what a family of Berkshire did ! Yaron Ivry and his family live in five-bedroom home on an island between water channels in Wraysbury, Berkshire. Their house was gutted by floods last January when many of his neighbours couldn't return home. 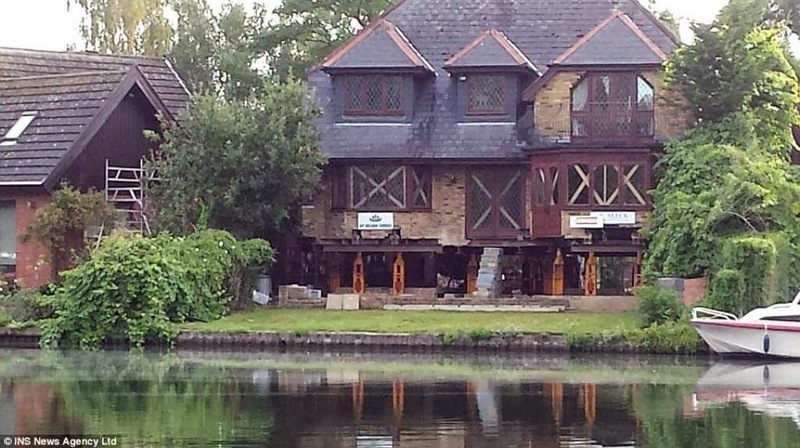 In bid to beat the frequent flooding, the family have spent three months and £80,000 lifting the house on to stilts. After the work raised the house five feet off ground, experts estimate it's now worth up to £2 million. It is the news of determined couple whose island home was wrecked when the Thames burst its banks last year have come up with a new idea - shifting their five-bedroom house 5ft into the air. Yaron Ivry and his wife Sigal have spent almost £80,000 jacking their riverside property in Wraysbury, Berkshire, up onto stilts, and filling in the gap with breeze blocks. Over the course of ten days, a team of engineers lifted the 80-ton building up into the air, using a steel cradle and 28 computerised jacks which pushed the house upwards at a rate of three inches an hour. Now, a year after the house was devastated by floods last January, work is complete with the house protected from the waters of the Thames, and the Ivry family enjoying a new basement underneath their home, as well as a new kitchen, replacing the one which was left underwater when the river breached its banks. Mr Ivry hired specialist builders who created a network of steel beams under the house which would hold its weight as the property began to lift. Holes were bored into the brick walls, so supportive beams could put up both inside and outside the building. 28 super-strong jacks — each capable of supporting 50 tons — were placed underneath the steel cradle. A diamond-edged saw then sliced horizontally through all the brick walls below the level of the concrete floors, severing the building from its foundations. 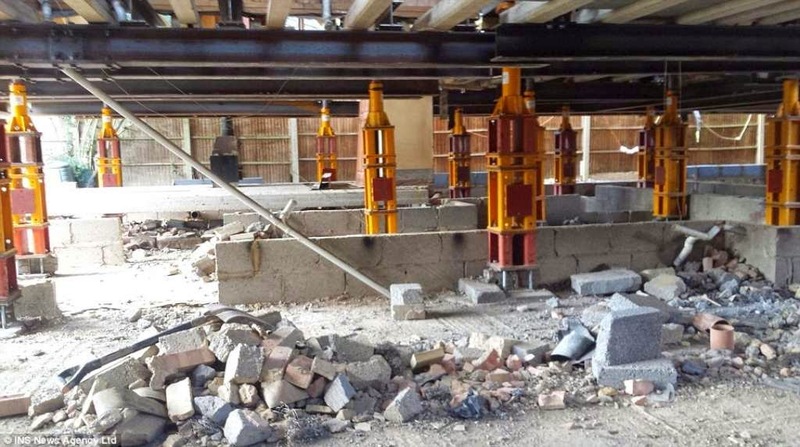 With the perimeter ring of steel steadying the structure and pressure spread evenly over the hydraulic jacks, no one part of the building was exposed to particular stress as it was lifted from the ground at a rate of three inches an hour. The newly-formed gap at the bottom of the house was then filled with breeze blocks, and the steel cradle removed before the breeze block basement was concealed with reclaimed London yellow bricks, designed to match the rest of the house. Mr Ivry's newly-raised front door now has a long staircase leading up to it, protecting the entrance to the house from any flood water. The value of the house - which had been worth £1 million - dropped to £750,000 as it could not be insured against future floods. Now, after the £80,000 project the house is thought to be worth between £1.5 million and £2 million and Insurers are willing to cover the property at nominal rates. Now everyday as they look out of the window, they smile and are happy ! jump Jockey Tony Mc Coy ends his career with 4348 wins !! Sandown Park is a horse racing course and leisure venue in Esher, Surrey, England, located in the outer suburbs of London. It hosts one Group 1 flat race, the Eclipse Stakes. It regularly has horse racing during afternoons, evenings and on weekends, and it was the venue to an event famously reported throughout UK. People do retire – in Govt and Public sector, retirements are rituals – there would be farewell party – farewell speeches – sandalwood garland, apple and fruits and drop in Office car !! …. In Nov 2013, it was a script, made, rehearsed and fine-tuned.. .. not the speech but the final game and retirement of the Cricketing Great Sachin Tendulkar. It all started there at the same Wankhede in 1988 with a century in debut in Ranji and the 24 years of International Career with unmatchable excellence ended that day. Sachin maded that one last walk to 22 yards bringing out emotions of millions marking the end of a glorious career with - 34357 International runs; 201 wickets and 256 catches. At Sandown park, it was the tearful parting of Tony McCoy, the greatest ever jockey after riding his 17,630th and final race after breaking every record in the book... and every bone in his body. 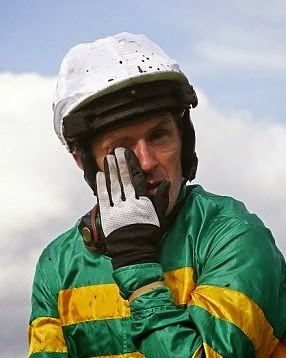 Anthony Peter McCoy OBE  is an Irish former horse racing jockey, based in England and the Republic of Ireland. He was named BBC Sports Personality of the Year in 2010, becoming the first jockey to win the award. McCoy recorded his first winner in 1992 at age 17. 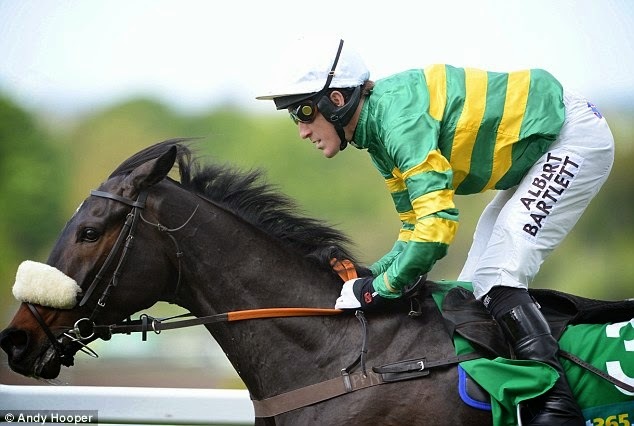 In Nov 2013 when Sachin retired, McCoy rode his 4,000th winner, riding Mountain Tunes to victory at Towcester. McCoy has been Champion Jockey every year he has been professional. The man who has ridden a record-breaking 289 winners in one season and had total of 4,348 winners over the jumps ended his career this day. Jump jockey is one who rides in steeplechases. His two, third-place finishes at Sandown Park in front of a packed crowd of 18,000 race fans brought an end to the greatest racing career in history. McCoy, 40, has been champion jump jockey for the past 20 years, and when he was handed the trophy for the final time today by former Arsenal player Ian Wright, it emerged that the Irish jockey will be allowed to keep it in perpetuity. Some 18,000 people packed Sandown Park to see the 20-time Champion Jockey on his final two rides. McCoy was joined on stage by his wife Chanelle and daughter Eve and young son Archie. In a career that has lasted more than 25 years, McCoy has ridden in more than 17,000 races and fallen an estimated 1,000 times breaking almost every bone in his body at least once. McCoy looked clearly emotional has he waved to the crowd after finishing third aboard Box Office in his final race. The record-breaking jockey admitted that, unusually, he had difficulty sleeping last night before his final professional rides. McCoy has been Champion Jockey in Britain and Ireland since 1996. During his career he has had 4,348 winners since his first victory in in Thurles, in Tipperary, Ireland on March 26, 1992 aboard Legal Steps. His first British winner was in Exeter in 1994, riding Chickabiddy to victory. 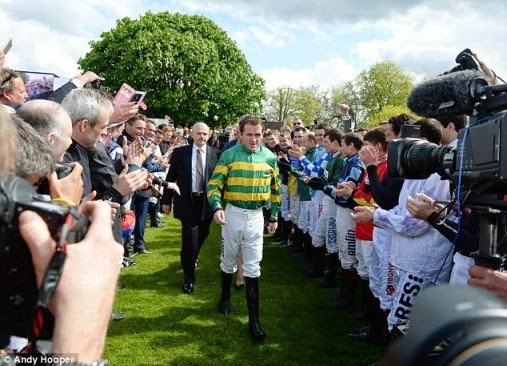 Today at Sandown, McCoy was congratulated by fellow jockeys as he prepared for his final ever race. Speaking to Channel 4, McCoy said: 'Today has been way beyond my expectations and thanks to Sandown and all the people who have been here today. It’s been an honour and a privilege. I’ve had a brilliant way of life for the past 25 years. McCoy announced his retirement in February but it was only the passing of the Grand National and his last rides at Cheltenham that made reality hit home. He humbly said, 'In any sport to be successful you have to be prepared to work harder than anyone else. I think I have got talent but I have never thought I am the best at anything. When I look back I don't think I leave much behind.' In his final race, he was beaten by his long-time rival and friend Richard Johnson - who has been runner-up in the Champion Jockey race to McCoy for the past fifteen years. In advance of his final rides today, stars from across sport, entertainment and racing paid tribute to McCoy, among them, Arsene Wenger, manager of his beloved Arsenal. fair verdict for non-humans by humans ~Chimps are humans !! Tommy, 26, had been watched closely by everyone across the globe is 26. He has been living alone watching cartoons and was not bothered about the probable decision in the law suit – but everyone else where ! – how can it be !! Human evolution is the evolutionary process leading up to the appearance of modern humans. There have been many theories confounded on human evolution usually covering the evolution from primates - the emergence of Homo sapiens #.. and almost immediately some would spring to ask – ‘If humans evolved from monkeys, how come there are still monkeys around?’ Perhaps that betrays a fundamental misunderstanding of evolutionary theory. In evolution, entire species do not evolve into new species; new species tend to evolve as isolated offshoots of existing (parent) species. There is also the theory that humans did not evolve from apes, gorillas or chimps. The modern species have followed different evolutionary paths, though humans share a common ancestor with some primates, such as the African ape. Primate cognition is the study of the intellectual and behavioral skills of non-human primates. Sometime back there was this interesting report on a monkey acting as a midwife to another monkey in the act of having a baby. The incident is so rare it has never been recorded before in detail, or filmed or photographed. Away from this Tommy is a chimpanzee, at the centre of one of America's more curious legal battles filed by Nonhuman Rights Project (NhRP) seeks to have Tommy recognised as a person under law. A 79-page legal brief submitted by the NhRP claimed that the chimp is kept in a "small, dank, cement cage in a cavernous dark shed". Three years ago, according to the the NhRP, there were four chimpanzees on the site, and not long before that there were six. They "were primarily used in entertainment", but in a short span, Tommy is reduced to be a loner though Patrick Lavery, Tommy's owner, insisted that the chimp is comfortable in this environment. Mr Laverty, stated that he and his wife Diane had kept chimps for decades, adding that Tommy had access to TV, cable and a stereo, and that he enjoyed watching cartoons. Whatever the facts of Tommy's living conditions were, he became the focal point of the distinct case at a mid-level state appeals court in Albany. A panel of five appellate judges heard Mr Wise's petition for a writ of habeas corpus – a request for a custodian to prove he or she has lawful authority to detain a prisoner. The NhRP's campaign fought for extending rights to non-human entities. The lawsuit refers to an English case from 1772 that dealt with an American slave named James Somerset, who escaped from his owner in London. After a plea of habeas corpus was filed, the court ruled that Mr Somerset was a person rather than a thing and set him free. Person is not a synonym for ‘human being’,” the brief explained, “but designates an entity with the capacity for legal rights. ....... now comes the news that NY judge has ruled that wo primates held at research lab are covered by same laws that govern detention of people. A New York judge has granted two chimpanzees held at a research lab the same rights as human prisoners, after a two year legal battle by an animal rights organization. 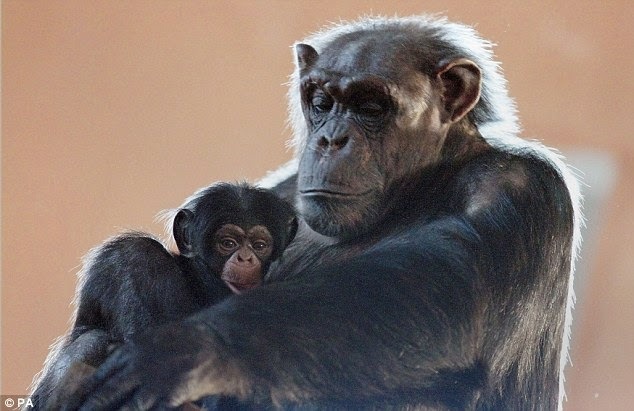 The decision by New York Supreme Court Justice Barbara Jaffe effectively recognises the chimpanzees as legal humans, the American Association for the Advancement of Science reports. The lawsuits were originally filed by the Nonhuman Rights Project in December 2013, in an attempt to free Hercules and Leo and two other chimpanzees living on private property. Although the courts threw out the suits, the animal rights' group has been appealing ever since, and have now been granted the writ of habeas corpus on behalf of the Stony Brook chimpanzees. A Stony Brook representative have been ordered to appear in court next month to respond the petition which argues that the chimps should be set free and moved to a sanctuary in Florida. The 2013 lawsuits include affidavits from scientists who say chimpanzees have complex cognitive abilities, such as awareness of the past and the ability to make choices, and display complex emotions such as empathy. 'That is, being able to self-determine, be self-aware, and be able to choose how to live their own lives.' Although Judge Jaffe's ruling only requires a Stony Brook University representative to attend a hearing regarding Hercules and Leo next month, it can be used to set precedent for further legal action. According to NhRP – it is all about getting foot in the door ~ no matter what happens, the door can never be completely shut again ! A favourable verdict here could lead to broader rights not only for chimps and their fellow primates, but also for other intelligent animals such as elephants, orcas and dolphins. A fair verdict for non-humans, by humans ? Coalgate and the hand of Justice ....... !! Money order goes the telegram way ! Yahoo transliteration service to close down !! Who is a Surveyor in Insurance ?